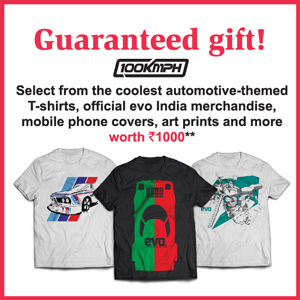 *Browse 100kmph automotive merchandise here. We kick off the 2019 motorsport season with a big exclusive! 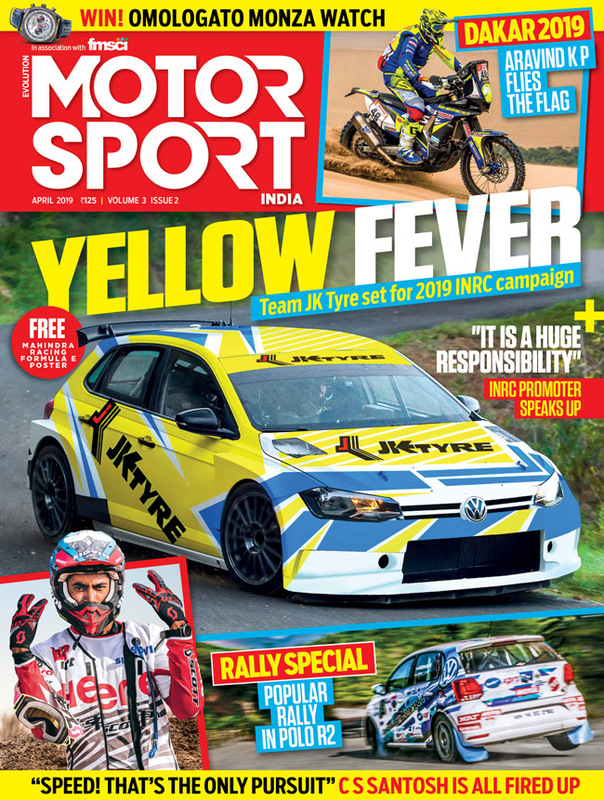 Team JK Tyre is back in Indian Rallying and they’re evaluating whether to start off with R2 or R5-spec cars and we have all the inside details straight from JK Tyre’s motorsport head. To go with our Rally Special, which is the first motorsport issue of 2019, we take a look back at JK’s rallying history, recounted by one of the fastest drivers of his era, the original Flying Sikh, Hari Singh. We also share the experiences of the two veterans who drove the Polo R2 in last year’s INRC. Our ed too narrates his first-hand account of finishing second in the INRC 1 category at the Popular Rally at the wheel of the Polo R2. Our editors spoke to the Champions Group, the new promoters of the INRC, “We want to promote young drivers, lady drivers and send Indians to foreign championships”; the new FMSCI president outlines his plans for 2019, “Strengthen the administrative side”; we have an exclusive conversation with Gaurav Gill on his year in the WRC2. “I had the pace to stay at the front”; CS Santosh opens up for the first time on his Dakar-ending crash and his focus for 2019, “Speed is my only pursuit”; “It’s all about having confidence in your road book” says Aravind KP, the only second Indian to complete the Dakar Rally; and that’s just the section on rallying, not to forget the reports on the 2019 Monte Carlo and Sweden rallies. We also welcome brand new columnists to the magazine. Internationally acclaimed Formula 1 commentator, Karun Chandhok is now joined by Dakar hero C S Santosh, former racing and karting champion Rayomand Banajee and more. Finally, a message from the president of the FMSCI. “Do subscribe to Motor Sport India magazine, do support Indian motorsport, and do get engaged with the content and events”. Subscriptions are now live for the new look Motor Sport India magazine and you also stand a chance to win an exquisite OMOLOGATO Monza watch. Your subscriptions starts from the current issue itself. Allow at least 1 week for the delivery of your first subscription issue. Project GTO Publishing LLP reserves the right to extend, cancel or discontinue this offer or any part thereof, without giving any reason or prior notice. Disputes, if any, will be subject to the exclusive jurisdiction of competent courts in Mumbai only. The terms and conditions are subject to change from time to time. Subscription copies will be delivered by ordinary post/courier as soon as the issue is released in the market place; however, Project GTO Publishing LLP will not be responsible for the postal delay, transit losses or mutilation of copies. The offer cannot be combined with any other offer. All subscription offers available prior to this stand cancelled. T-shirts shown in the image are for representation purposes only.